We always hear the slogan, now you can proclaim in on a shirt or mug. We offer The Few, The Proud, The Marines T-shirts and sweatshirts in many sizes and colors, along with a colorful The Few, The Proud, The Marines coffee mug. 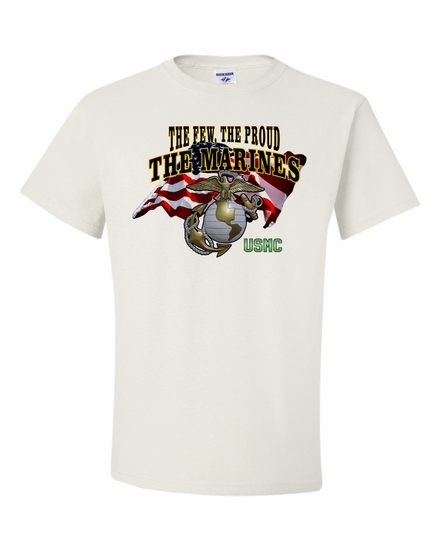 Remember� you found the The Few, The Proud, The Marines Shirts at TShirtHub.com, where high quality came at a low price.